A timeless story, Little Red Riding Hood in beautiful red coat, blue dress and basket full of goodies. This wonderful fabric brings back memories of yesteryear. A soft cream background with shades of red, blue and yellow. Little Red Riding Hood measures 2 inches tall standing and 1 inches sitting. 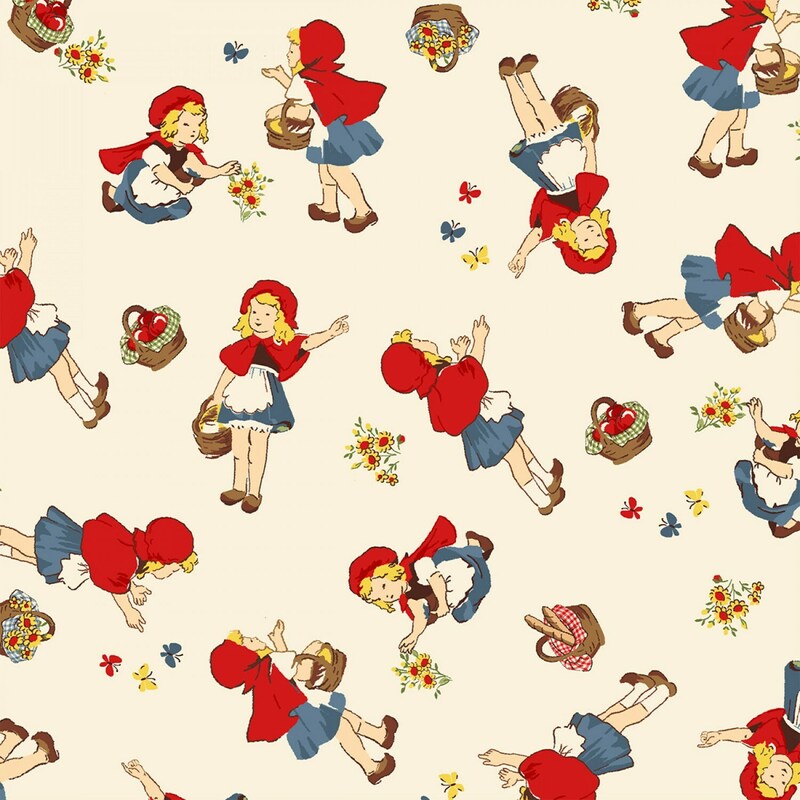 Add this with our other find Little Red Riding Hood fabric line and make that little person beam with joy! All fabric from The Quilted Nursery Fabric Store is cut directly from the bolt in continuous yardage. We now offer fractional yardage cuts for your shopping convenience. All shipping overages are refunded on shipment of fabric. Orders shipped in 24 hours except for Sundays and holidays. Treat yourself to a free quilting pattern using the Red Riding Hood fabric. Copy and paste the link below into your browser. Enjoy!